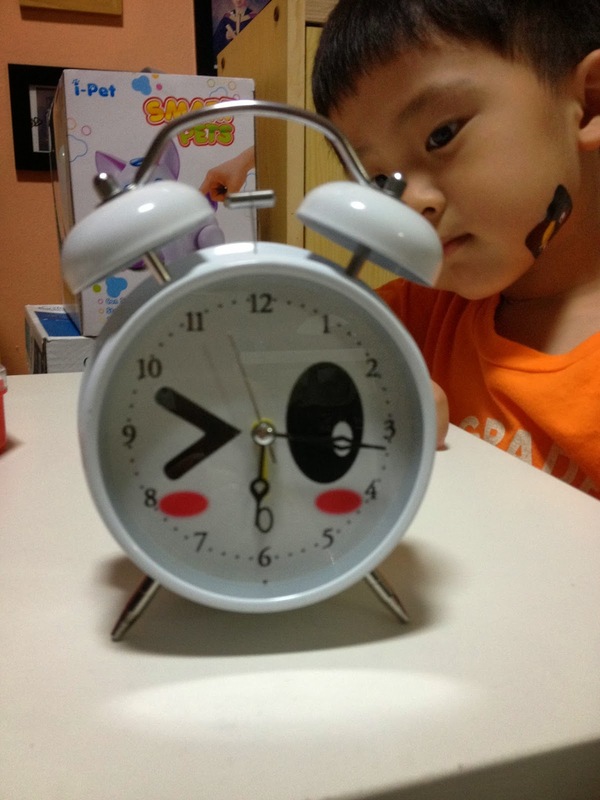 Still obsessed with clocks all over the shop, we decided to buy him an alarm clock. And told him he's responsible to wake up on his own. The real reason: he is a pain when we wake him in the morning..hiak hiak! Day 1: he got shocked when the alarm went off and I taught him how to switch it off. Oh well, you probably think he is too young to shoulder such "responsibility", but I do not think so. Period.